/ Serious Issues Exporting Mesh! I'm going to ask a noob question, so any criticism is expected. Also, notice by the picture that I am wearing a Maitreya Mesh Body and my viewer makes it look fucky. 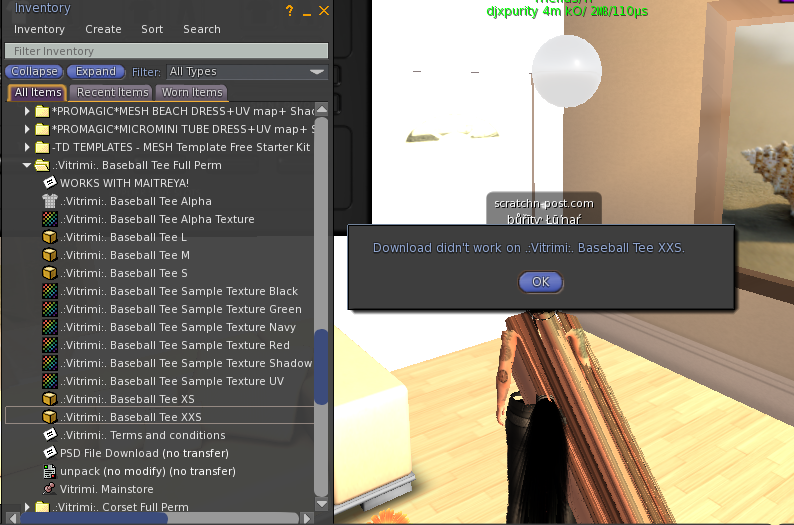 For a while now, anytime I try to export mesh, it always "failed to download". 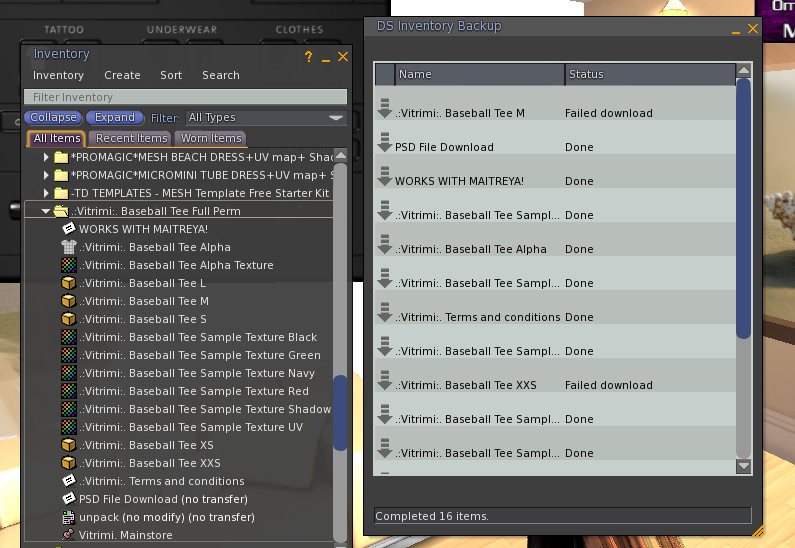 I right click the folder and click save, it saves everything else, it just doesn't save the objects. And when I right click an individual object to save as collada, this happens. I don't know what I'm doing wrong :( Does anyone have any suggestions or have any helpful advice to offer? Pretty much. To be accurate and have it work, you need to know what they did. The only other way is to go through Maya. That's what SL itself uses. And unless you are a student and prove it, its in the $ thousands.